Dr.P.S.Valarmathy, Director of Sri Kaliswari Institute of Management and Technology has over 32 years of Teaching & Research experience with good academic record. 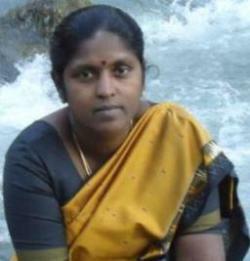 She secured top position in Madurai Kamaraj University during her M.Com degree from Fatima College, Madurai. She is an MBA graduate in Finance and commended Ph.D from Manonmaniam Sundaranar University in Women Entrepreneurship. Have undertaken UGC & AICTE funded projects also. 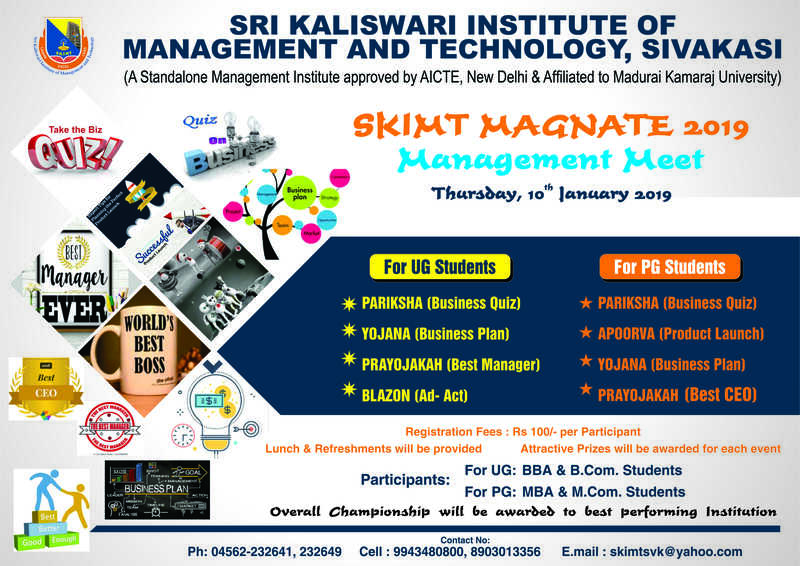 At SKIMT, we provide a healthy & disciplined environment to impart quality management education through excellent academics and extensive industry interface. We groom the future management professionals by aligning their knowledge, skill & attitude with industry standard. During the course of two years study in SKIMT, apart from academics we expose our students to direct marketing experience, corporate consultancy projects, value added programs linked to industry, Life Skills development & People and Community centric CSR activities. I extend a hearty welcome to all the prospective students and assure an enriching experience and a promising career to one and all.